Come out on Saturday, April 29 to meet some great local authors and support your independent bookstore! Each of our authors will be in the store for an hour to meet and chat with you, and recommend some of their favourite books! It will be a wonderful day full of books, authors, draws, promos, and so much more! 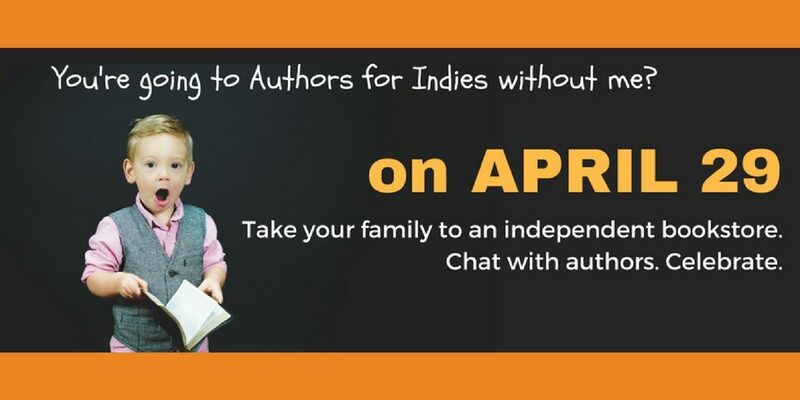 “Authors for Indies is a national campaign in support of independent bookstores. On Saturday April 29, hundreds of Canadian authors will be volunteering as guest booksellers at indie bookstores across the country. This is the day we authors give back to the bookstores who support us every day of the year. Independent bookstores are more than just retailers. Indie bookstores are spaces where you can open a book at random, fall into another world, and take it home with you forever. Where you can enter and breathe in that new book smell. Where you can talk to people who are passionate about recommending exactly the right book. Where you are part of a reading community.